Colorfully bright and equally vibrant in flavor, this crostini will soon become your favorite go-to app. Featuring edamame, fresh mint, Romano cheese, and pears, these appetizers are packed with protein and zesty flavor. It's the perfect recipe to whip up after picking up a bag of this seasonal and sweet fruit. The topping can be made ahead of time so it's a cinch to whip up before guests arrive. 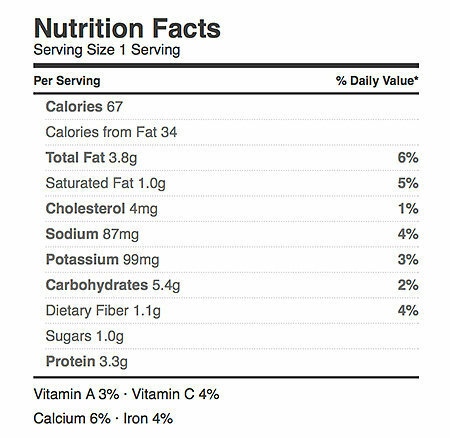 And since each piece is 67 calories, your guests will appreciate the healthy fare. Boil the edamame in salted water for 10 minutes. Remove beans with a slotted spoon and place in ice water for a couple minutes to cool, then drain. Set aside 1/4 cup of the whole edamame and place the remaining edamame in a food processor; process until coarsely chopped. In a separate bowl, combine the mashed edamame with the whole edamame, three tablespoons olive oil, chopped mint, Romano cheese, salt, and pepper. Thinly slice the baguette into 30 slices and brush each piece lightly using one tablespoon olive oil. Bake for eight minutes. 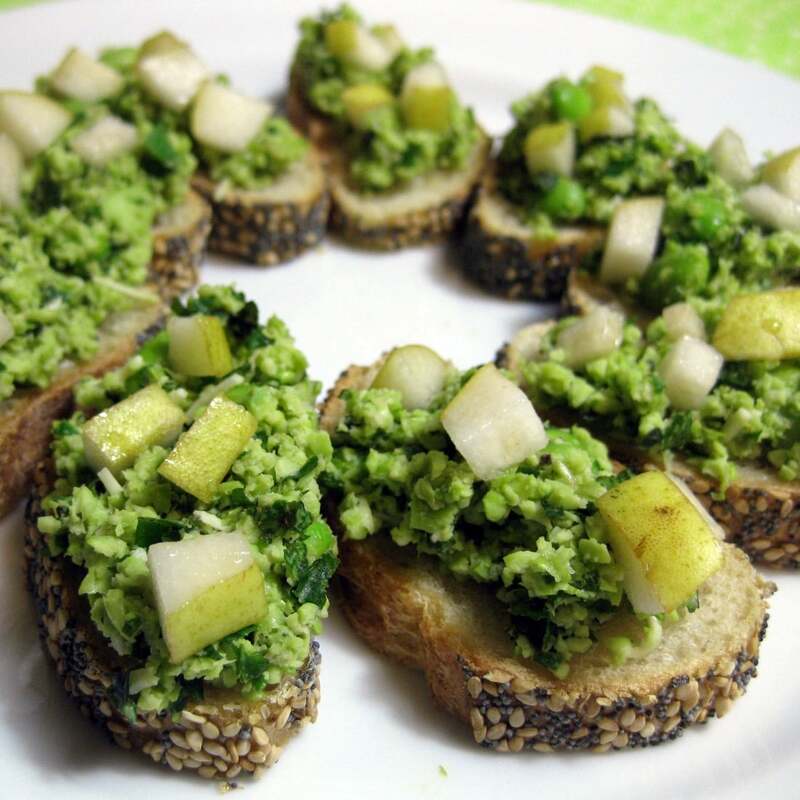 Remove from the oven, top each crostini with one tablespoon of the edamame mixture, garnish with chopped pears, and enjoy.